I adore Rachel Hauck’s novels. They are SO good! And The Memory House is amazing. I am only to chapter 10, but I can already say, “Go get this book!” It’s such a wonderful and engaging read. Check back soon for my full review. The cover and title of this book are so appealing and match up well. Oh, wait. That wasn’t a first line, haha. I’m not reading fiction right now. Oh my can I relate to that. My life is total chaos right now. LOL. I find books often imitate my life, Happy reading Vickie! I shared the first couple of lines from my recent read, You’d Be Mine by Erin Hahn. I thoroughly enjoyed the book & definitely recommend it to you. Here, though, I will be sharing the opening lines of my current read, Mother Country by Irina Reyn. In this Brooklyn neighborhood, Nadia was sure she was the only nanny from Ukraine. She preferred to think of herself as an observer, a temporary traveler, someone waiting for a new life to begin, rather than who she really was: a worker executing an invisible task within the neighborhood’s complex ecosystem. I’m only 10% into Mother Country but already it’s proving to be an interesting read. It’s about a mother whose daughter is trapped in war-torn Donbass in Ukraine. I think this one will turn out to be an important read for me. Hope you enjoyed that. Happy weekend! Sounds like a great read. I hope you like it! Happy reading, and thanks so much for sharing. This sound like a really great book! Thanks for sharing, Trisha. I still haven’t gotten my copy of this book yet. Sarah said she would look into why I didn’t get it. I’m a little sad. I’ve been on her team for like forever! I hope you are enjoying the read though. Happy reading, my friend. I’m sorry to hear your book hasn’t arrived. I hope it comes soon!! Great first line! LOL! Thank you for sharing, Kay. Hope you have a great weekend. You will love it when you get to it. It’s SO good. Thank you for sharing. I hope you have a great weekend. I will be reading this one very shortly! I can’t wait! My book hasn’t come in yet. I’m sad. I hope you are enjoying Governess! Thank you for sharing, Becca! Oh no hope it comes soon! My first paragraph is from an exceptional book by a new author: A retelling of Ruth and Naomi in Victorian times. After nearly three weeks in Abbotsville, Rena’s shoulder blades now cut against her skin like she was made of paper. Head pounding, she lay beside Nell in a stable which smelled of manure, desperate for a way to escape the unbreakable claws of poverty. I can’t wait to read this book, Paula. It’s coming up soon for me. Thank you for sharing. Happy reading, my friend. I read my first Rachel Hauck book last year, and it was so good! Happy reading Nicole! I love the cover art. I’ll have to add this to my ever-growing TBR pile. That line grabs my attention and makes me want to read more. I loved both of those books. Thanks for sharing. Happy reading! So why does the light terrify her? Great first line! Now I want to know why she doesn’t want to go home. Thank you for sharing. I will have to check this book out. I love that first line! Must find the time to read the rest of the book! I already downloaded the novella after seeing your post. Now, I’ll have to check this book out too! Hope you have a great weekend too. Loved, loved, loved The Memory House. It made me want to go back and read some of Rachel Hauck’s other books! 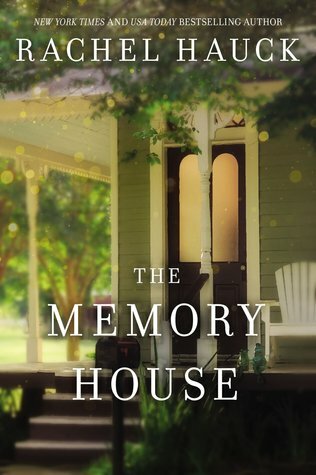 The Memory House is one of the best books I’ve read in a long time. You are right. I want to go back and read all of Hauck’s books over again. Happy reading!